I created this costume for any 16 to 18" doll, similar to Waldorf dolls and American girl dolls. It is made from soft acrylic yarn. 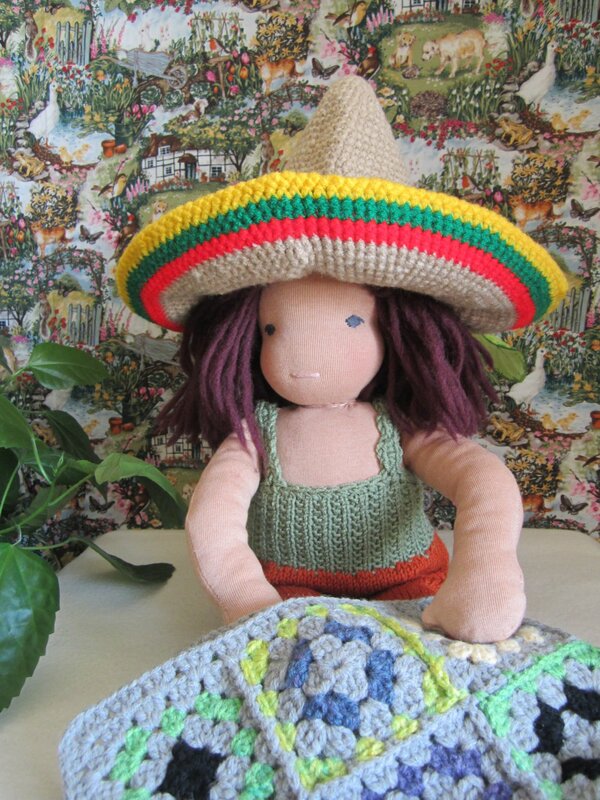 It include crochet sombrero hat and knitted romper.. If someone want part of the costume, please connect with me. It is machine wash on gentle cycle and flat dry.